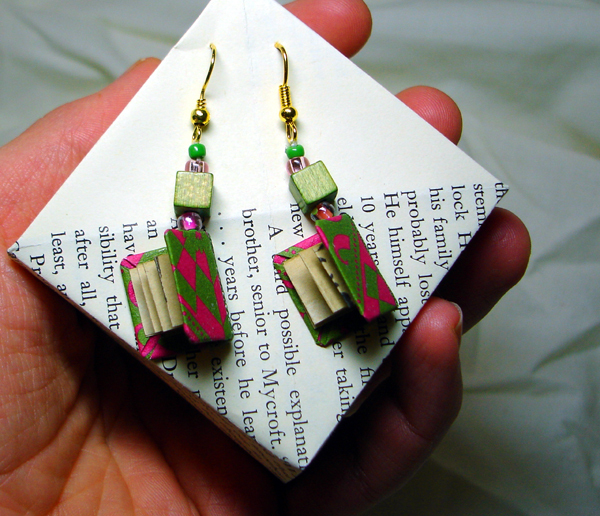 These are miniature book earrings that I make from recycled paper and cloth. They are featured on their own page of my website but the reason they are here is because I also needed to develop packaging and presentation to sell them. 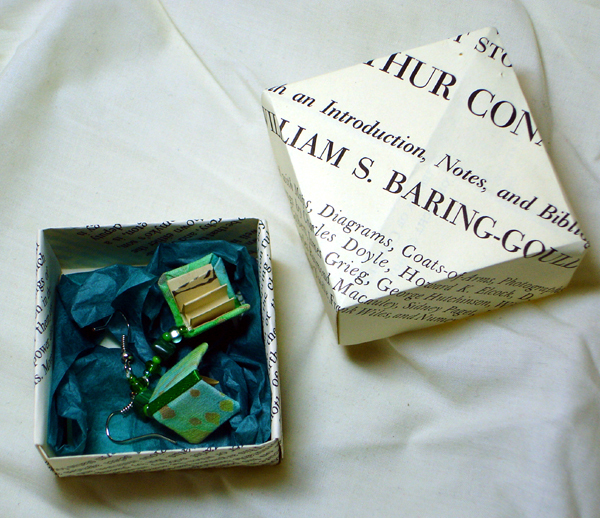 The printed boxes are made by origami style folding and are repurposed from actual book pages. Tools used: Paper, fabric, cardboard, ribbon, beads, scissors, glue, my creativity!